You are here: Home / Music / House / Progressive House / Steve Angello Releases "I/O (Orginal Mix)" For Free! 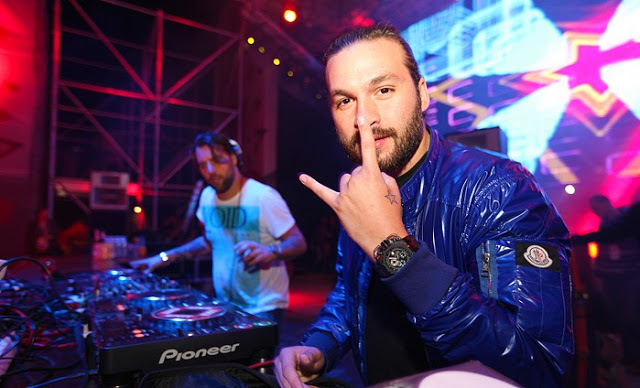 Steve Angello Releases "I/O (Orginal Mix)" For Free! That’s right! Steve Angello, exactly 1/3 of Swedish House Mafia, has released his new song “I/O (Orginal Mix)” for free! This song is a beautiful house collaboration with Wanye & Woods. What make’s this song so great is that Steve Angello has added his own sound to this. It’s just great to hear what this fantastic DJ sounds like on his own and you definitely see how great he is in this track. The song can be downloaded for free Here (Make sure to say thank you on the way out of the site!). More importantly I just wanna give Steve Angello a big thank you for being a bro and releasing this track for free. Listen to this song below if you are still unsure about downloading (which is doubtful since it’s, ya know, free). Enjoy the show!